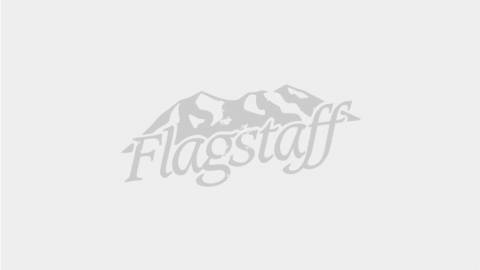 Flagstaff blooms with a whole lot of unexpected amidst the world’s largest contiguous emerald green ponderosa pine forest, sapphire blue skies and mountain crisp air that will have you begging for more daylight. With close proximity to six national monuments that claim their own distinct flora, and where multi-use trail systems are plentiful, Flagstaff offers plenty of spring things-to-do, many of which are outdoor activities including hiking, biking and watching – yes – wildlife watching offering views of wintering bald eagles, elk, waterfowl and more. Perhaps there’s preference for festivals or sipping hand-crafted cocktails or stargazing. We’ve got all that, too, including the state’s largest Blues festival – Flagstaff Blues and Brews Music Festival which can certainly be enjoyed in hiking boots because Campbell Mesa Trail System is adjacent to the festival’s site. Recently recognized as a trendy US Spring Break destination, Flagstaff’s snowfall provides for great spring skiing, and other snowmelt provides for stunning experiences including nearby Grand Falls whose falls are taller than Niagara Falls. Moments can be simple, but brunch has got to hit the mark. Many Flagstaff restaurants will be treating moms like royalty with noshing options inclusive of bubbly libations to decadent flakey bakery goodness where calories just don’t matter. This free recycling art exhibition captures the eco-friendly lifestyle embraced by Flagstaff and Coconino County residents as artists from nearby counties, cities and Native American Reservations collaborate to promote recycling through this creative, fun and inspiring exhibition at the Flagstaff Mall. (April-May). The free Bubble Palooza is spectacular and voted “Most Outstanding Community Event” by Arizona Parks and Recreation Association. Outdoors, 10:00 am - 1:00 pm at Foxglenn Park, this uber kid-friendly event includes a bubble blowing contest, bounce houses, zorb ball racing and food. Share in the artistry and cultural traditions of more than 50 Zuni artists, browse traditional and contemporary art, enjoy insightful lectures, and delight in musical and dance performances. The daylong event is filled with activities and offered in tandem with the Coconino Astronomical Society and Lowell Observatory. It’s Flagstaff’s monthly street party and your walking shoes are a necessity. First Friday ArtWalk is one of Northern Arizona’s premier arts events. Each first Friday of the month, art galleries and businesses in historic Downtown Flagstaff open their doors from 6-9pm with special art exhibitions, performances, live music, treats and more. Many downtown hot spots remain open after 9 pm as the ArtWalk celebrations continue.